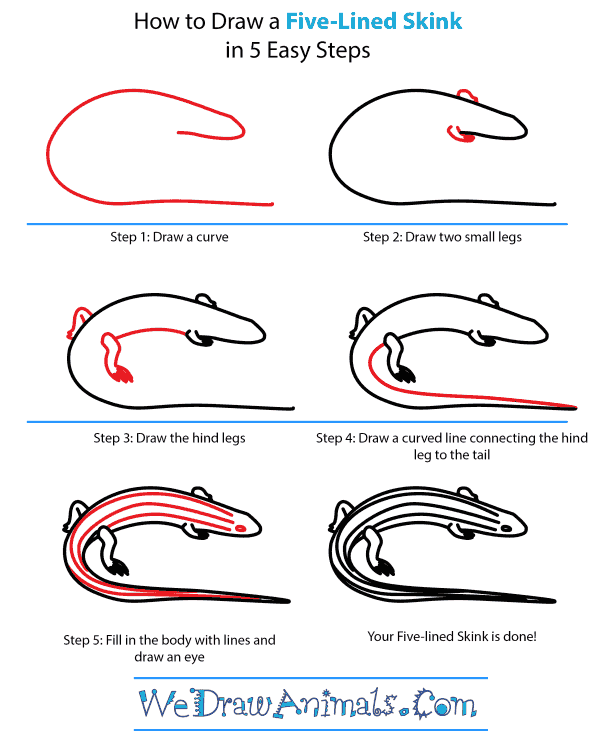 In this quick tutorial you'll learn how to draw a Five Lined Skink in 5 easy steps - great for kids and novice artists. 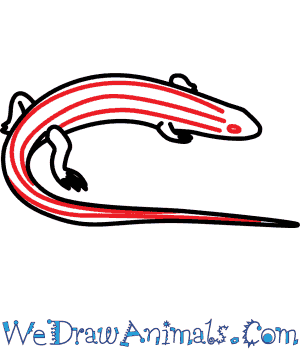 At the bottom you can read some interesting facts about the Five Lined Skink. Step 1: Illustrate the shape of the body with a long curved line that slightly resembles the letter "C". Step 2: Draw two small legs at the front of the body. Step 3: Add a curved belly, and then the two hind legs. 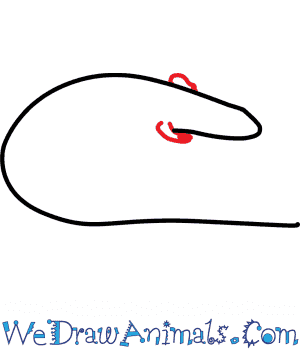 Step 4: Connect the curve that you made for the belly to the curve for the tail, making one long tail. 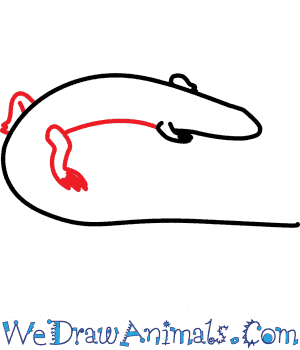 Step 5: Detail the skink by adding long lines to the length of its body. 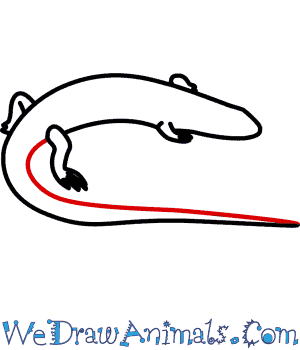 The Five Lined Skink received its name for the five yellow, white lines that run down the entire length of its body. If that is not odd enough for you, Skink young have bright blue tails, but this fades with age. However, when breeding season rolls around, an orange patch appears on the male’s chin. If attacked by a predator, the Skink’s tail can break off, allowing them to escape from harm. The Five Linked Skink hibernates from October through May. 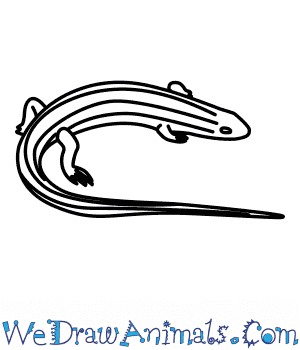 Lesson Plan Idea – Have Skink drawings available – allow children to color in their own versions a male, female, and baby Skink.